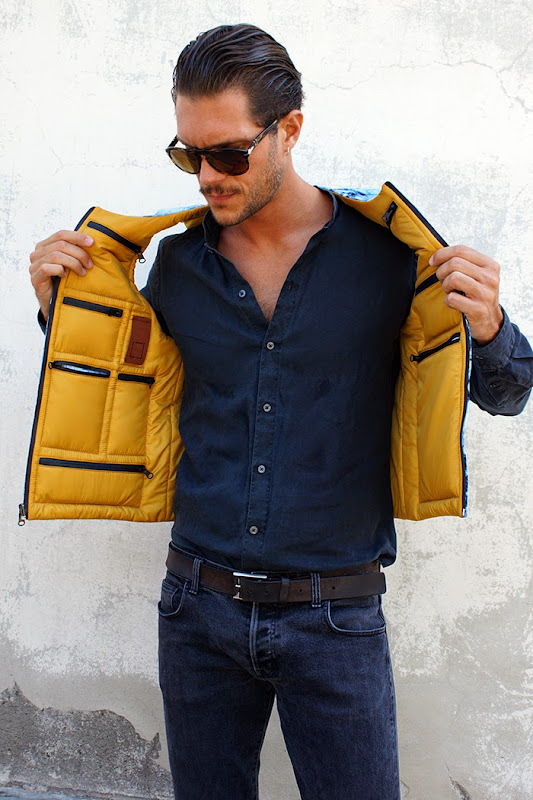 Model Elbio Bonsaglio wearing a vest from LETASCA, the label he founded with Edoardo Giaroli and fashion editor Ada Kokosar in Milan. The brand premiered its Spring/Summer 2015 Collection during Pitti Uomo 86 so Elbio was in attendance of course to present his most recent project! 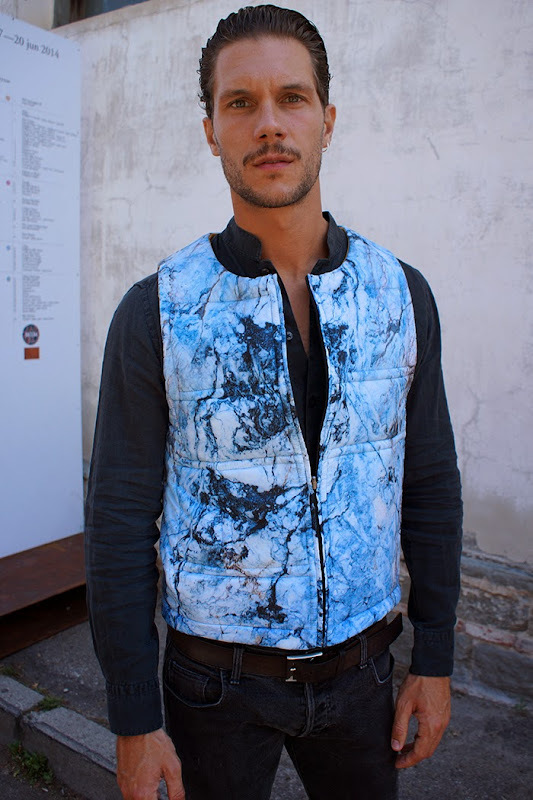 The premiere collection of LETASCA features a very nice selection of reversible vests in plain colours and various exlclusive prints that go from marble to camo, Elbio did not hesitate to demonstrate the versatility of the piece which also includes 10 pockets to carry essentials. The stand of LETASCA presents 2 images of their Spring/Summer 2015 campaign featuring models Alessio Pozzi, Mariano Ontañon and Elbio Bonsaglio himself.